Chances are you can type in your Facebook password without even thinking, you know it so well. You can probably find the login to your long, lost MySpace account in the annals for your email account, too. And, when is the last time either of those saved your life? 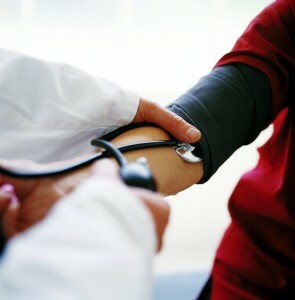 Now, think fast, what was your blood pressure at your last physical? Oh, when exactly was your last physical? We carry so much information around in our heads and on post-its scattered around our offices and homes about our social networking, bank accounts and other facets of our hectic, high-tech lives; yet, many of us don’t know the numbers that can reveal the risks factors we face related to cardiovascular disease and other health and wellness issues. When a health professional asks if you “know your numbers”, they are usually referring to three or four different numbers: total cholesterol, blood pressure, and either Body Mass Index (BMI) or waist circumference. In September of 2011, Lipitor, one of the biggest brand name drugs for the treatment of high cholesterol, is going generic (with generic pricing to kick in come Spring 2012)! If you know your total cholesterol number is higher than ideal, now would be the perfect time to start treatment — right as the drug prices will drop! Not treating high cholesterol can lead to heart attack, stroke and a variety of other issues that can make life not so fun. Many things — from genetics to poor diet, can lead to high blood pressure. The important thing is to know your number and to do something if it’s too high. When your blood pressure is too high, your heart has to work too hard to get blood to move throughout your body. Testing showed that this home blood pressure monitor is quite accurate (and affordable!). With the demands of work and family, your body has to work hard enough without any added [blood] pressure! Lastly, body mass index can be calculated easily enough online. You input your height and weight and the nifty website pops out a BMI number for you. BMI readings do need to be taken with a grain of salt. A study, conducted by Jacobs et al, and whose findings were reported in the August 2010 issue of the Archives of Internal Medicine, showed that mortality risks associated with large waist circumferences were most prominent for women with BMI’s in the normal range! When waist size increases, so do the risks for cardiovascular disease, diabetes, metabolic problems and high blood pressure. So, do you know your numbers? I love the idea of this blog, but I hope that future articles are much more nuanced than this one was. My doctor says that total cholesterol is not a very useful number; it needs to be broken down, especially for women. And I refuse to believe that a waist circumference of any number is just as dangerous on a person who is 4’10 as on a person who is 6’1. And I sure hope that you will discuss ways to have healthy “numbers” that don’t involve big pharm as a first option. Thanks for the comment, Christine! I can promise that while this blog might discuss medications from time to time, it will always recommend lifestyle and habit improvements over big pharm every time! Also, thanks for your comment about breaking down total cholesterol to make it more meaningful. I see a post on this topic in the future!